The Destiny 2 beta is now over, and while I never got around to sinking a lot of time into it, I thought now was a good time to share my thoughts on it all, and my hopes of what the full release might bring. Destiny is a bloody weird one for me. 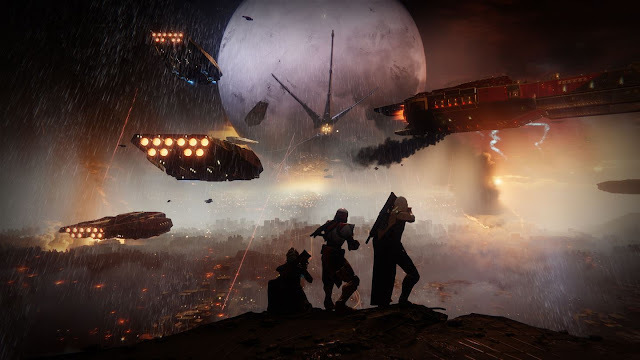 On one side you have the fanatics who spend and have spent a silly amount of time into what the first Destiny had to offer, while the other side of the coin saw many frustrated with what it offered them once a week or two had gone by. Reviewing the game on my old writing home, Destiny 1 was a huge letdown for me. Coming out after hours of play doing the same mission and tasks over and over again for rare loot being something I never fully found myself enjoying the more time went on. Sure I jumped back on when loot caves and things of that nature made the news and were a big deal, but the more time went on I moved on from the game and went onto the next one. I was a hopeful man with Destiny 2, the promise of a story and with PR saying this would be an even better game, surely the beta would only show me that Destiny 2 was where things would pick up for me. Loading the beta up and playing through the Homecoming campaign mission, I began to think this could be fun this time around, as I looked on at gorgeous looking cutscenes and areas that looked just as stunning as the first game. Destiny has never not been a gorgeous looking game, and D2 looks to be more of the same when it comes to this. After beating the missions that were available, however, I found myself not at all excited like I did early doors with the Destiny 1 beta, you know, before the full game came out and we found out that we were just getting that on a repeat button. I've been fooled once here before, so unless the story is really something that is special, I can see myself getting the story done and never making a return. I hope I'm wrong though. My time with the Strike mission was the total opposite of the above, with this portion of it being my favourite part of the whole beta. I can see it being great fun with people I game with on a regular basis on my Xbox One. Teamwork is really needed here, so the experience was spoiled a little bit by the community who run off lone wolf, almost making you a baby minder for their silly mistakes as you run after them every few minutes to revive them. Competitive MP is sort of where I once found myself lost again, giving off that feeling once again of where things just felt really unbalanced when facing off against people who are meant to be no different to the character you are using. I could fill a guy with headshots only to die with what feels like a couple of shots. It just makes for a really frustrating experience for me, and one I soon got bored on even in beta. Coming out the beta then, I guess I've come out much as I went in. Looking forward to improvements on the single player campaign (story), and also strikes being enjoyable too. 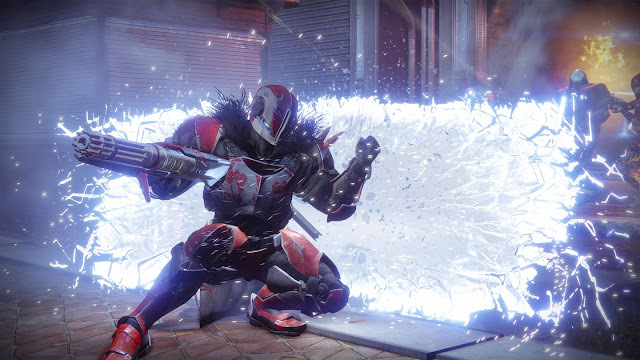 I shall, of course, bring a full review for Destiny 2 around launch.